Accentuate your country decorating with Aspen furniture for bedrooms and guest rooms! Accentuate your rustic decorating and country decor efforts with handmade Aspen beds, gnarly Aspen nightstands and versatile Aspen armoires. 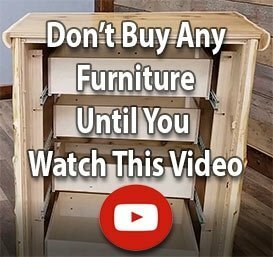 Why buy authentic bedroom log furniture that’s made of wood harvested from dead-standing trees? It’s an environmentally friendly, ecologically sound and undeniably lovely way to bring natural beauty into your home, cabin, cottage or lodge. The hand-selected logs we use to craft our full range of country furniture and specialty items like our Aspen log mirrors are chosen for their beauty, strength and character. 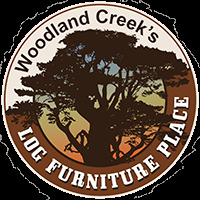 Each Aspen dresser or Aspen chest we build is carefully designed, hand-peeled, assembled and hand-stained by master craftsmen and women at Woodland Creek’s for a one-of-a-kind rustic decor finish that stands the test of time!